For the past seventeen plus years, Mr. Frank Rush has been the Emerald Isle Town Manager and regularly during his tenure he provided excellent information for readers in this space. Frank has recently left his position with the Town to pursue new challenges, so I have been engaged by the Town of Emerald Isle to fill the void as an Interim Town Manager until a long term replacement is found. I thank the Board of Commissioners for giving me this opportunity to continue in public service which has been my life's calling. Frank did an outstanding job in Emerald Isle and replacing him even on an interim basis will not be an easy task, but I will do my best. 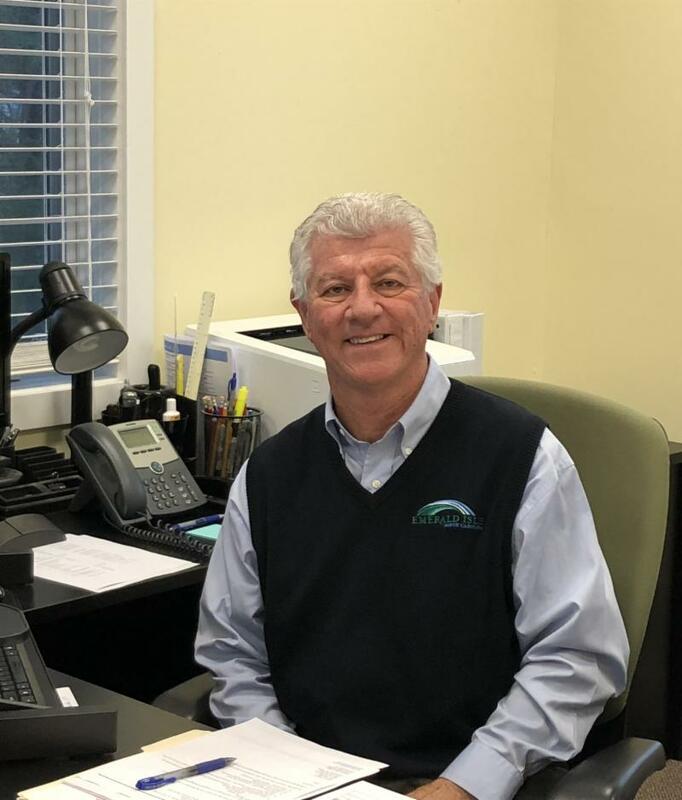 Although Emerald Isle is navigating this leadership change after such a lengthy period of stability, Town leaders remain committed to maintaining the exceptional customer service the Emerald Isle community has come to enjoy and expect. On behalf of the Town administration, rest assured it is my intention to ensure a smooth transition in the months ahead. Although I have only been on the job a few days, my congratulations go out to the Mayor and Board of Commissioners, to former Manager Frank Rush and to the entire staff of the Town of Emerald Isle for a job well done in making the Town of Emerald Isle the tremendously successful community that it is currently. I have always admired the beauty of this island paradise, but now I am much more aware of how well managed a municipality it has become. Such success is not achieved without a concerted team effort. From my vantage point, the entire municipal team in cooperation with the fine citizens and other partners in the community have developed a special relationship that is producing awesome results. One of the consistent themes I have heard is that at least part of the cohesive success of Emerald Isle is a direct result of the Town excelling in its communications with its citizens, visitors, business community and other key partners. As a high priority, Town leadership and staff desire to continue to build on this success by maintaining open and effective communications utilizing every means available. Feedback is always appreciated, so do not hesitate in sharing any input you may have. NCDOT's contractor will begin work on the Emerald Isle bridge substructure repairs beginning the night of Friday, December 7. The work will involve a lane closure that will be used regularly over the weekends through March. During this time the contractor will also install the new guardrails. The new guardrails will have a similar appearance as those on the Atlantic Beach - Morehead City bridge. The current concrete railings are approximately 28 inches high, and the new steel railings will extend an additional 26 inches, resulting in a total guardrail height of 54 inches. The photo below shows a simulated view with the new guardrails in place. Traffic will be reduced to one lane, with flagmen in place on the bridge. Expect delays during this time. Thank you for your patience as NCDOT contractors work to maintain and improve this essential infrastructure for Emerald Isle! The impacts of Hurricane Florence continue to be felt in Emerald Isle. The recovery will be a lengthy process with incremental progress already apparent, but the Town and the community at large have a long way to go. The Town appreciates the patience residents and property owners have shown. I am pleased to report that the independent contractors have completed their cleanup efforts of debris on the beach and their other street side cleanup efforts should be complete by the end of November. Public Works staff will follow up with any remaining debris removal as part of their regularly scheduled routes consistent with Town policies. The Town also recognizes the lengthy process that private property owners have been going through to accomplish storm related repairs. To this end, I am also pleased to advise that the permit fee waiver approved in September for repairs necessary due to damage from Hurricane Florence has been extended, and will now remain in effect until December 31, 2018. Building permits are still required for all repair work, however, no permit fees will be charged. Permit fees will continue to be collected for work not attributed to Hurricane Florence. The Town's engineers, in conjunction with Carteret County and the Town of Indian Beach, recently released the bid solicitation for the nourishment of approximately 3 miles of ocean beach in eastern Emerald Isle. Construction bids were due on Tuesday, November 20 and only one bid was submitted by that deadline. In compliance with state law since fewer than 3 bids were received, a second bid opening was scheduled for Tuesday, December 4 at which time any bids may be opened and considered. Assuming a reasonable bid, the Board may award a construction contract in December, with work beginning sometime in early 2019. This project covers the same area previously planned for nourishment this winter (between the Indian Beach town limits and the 3000 block; before Florence impacted Emerald Isle), but the scope now includes the replacement of the approximately 617,000 cubic yards of sand lost during Hurricane Florence. A new ~ 25 ft. wide dune will be constructed in this area, and the flat beach berm will be widened by an additional 40 - 60 feet. Dune vegetation will also be planted as part of this project. If the Town does not receive reasonable bids, it is likely that this project will be delayed until winter 2019-2020 and combined with a larger project that would also include central and western Emerald Isle. In total, the Town is seeking approximately $56 million (revised from a previous estimate) from FEMA and the NC Division of Emergency Management to replace approximately 2.2 million cubic yards of sand lost from the Town's 12 miles of ocean beach during Hurricane Florence.